Perfect Image, Inc. has the ability to cost-effectively produce vector drawings from a raster image. Perfect Image, Inc. utilizes over 40 skilled drafters and engineers. 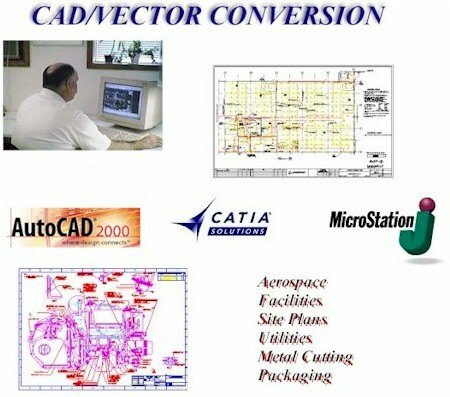 Perfect Image, Inc. can convert drawings into many vector formats including AutoCAD, CATIA, Microstation and Unigraphics.